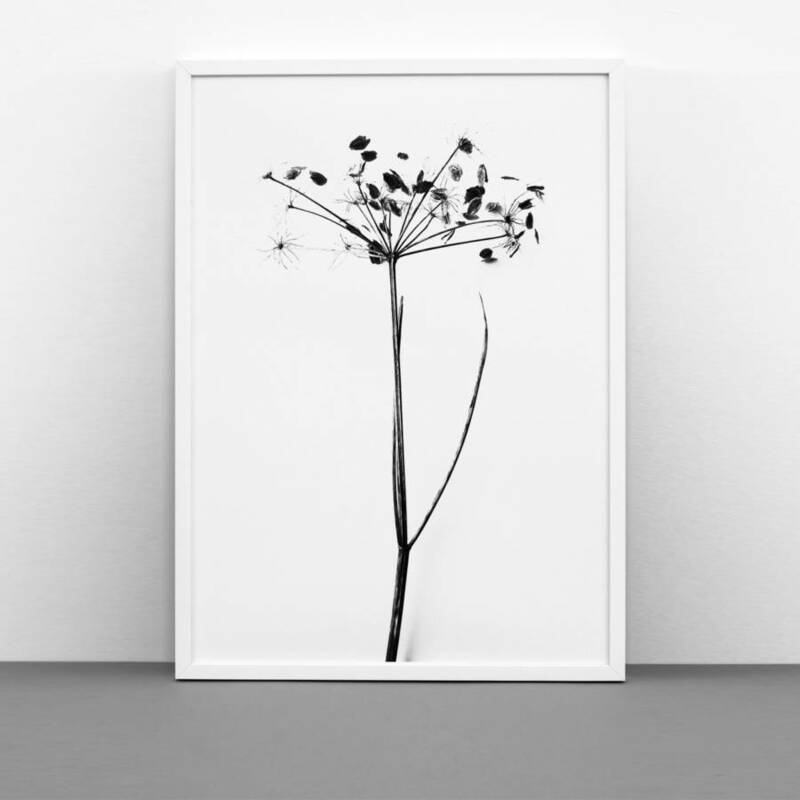 A beautiful, delicate print of hogweed. 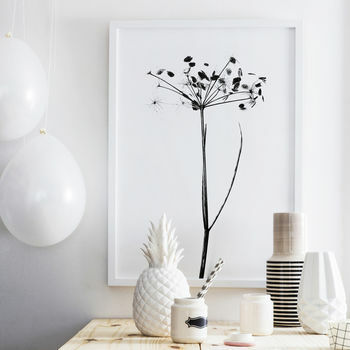 A beautiful print which we also call I do I do I do. This is a much appreciated Wedding gift or Birthday gift. The print will be sent carefully wrapped in tissue paper and packaged carefully into a postal tube to ensure safe delivery. When taking your print out of the tube it might be rolled up. Please leave it on a flat clean surface and it will flatten itself. Please do not try to force the print to roll up since that might create creases.